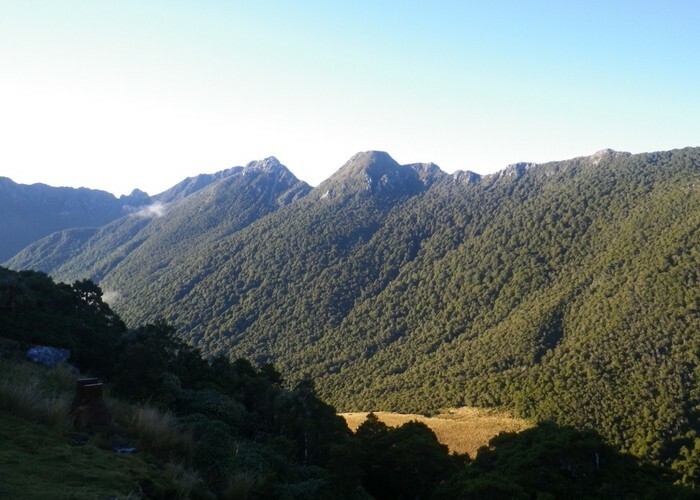 Stag Flat from the saddle between the Taipo and Little Wanganui. A tidy 2-bunk hut lies at the eastern end, classed as a shelter to discourage use. Added 1 May 2016 by madpommadpom. No revisions.